Mozilla’s Firefox 3 is lighter and more versatile than Microsoft’s Internet Explorer 7. It’s already huge. 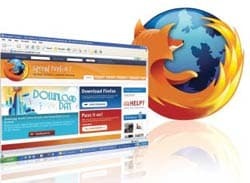 Surfers downloaded 8.3 million copies of the new Firefox 3 on June 16, the day it was launched. But, that number does not answer one crucial question: how good is Firefox 3? It is lighter than other browsers and makes browsing a lot more pleasant, particularly compared to Microsoft Internet Explorer (IE) 6, which is what one could call “bloatware”— software that has been bloated with all sorts of useless stuff. The earlier versions of Firefox quickly became quite popular as a viable alternative to IE. How good is Firefox 3? The nicest thing about Firefox 3 is that third-party vendors can develop all sorts of applications that feature as plug-ins into the browser. Of course, several of the plug-ins are quite silly, and tend to make Firefox fairly bloated too, but the logic is simple. If you want your browser to be nice and light, you can have the plain vanilla Firefox, plus, maybe, one or two plug-ins—such as the Google toolbar. However, if you want more bells and whistles in your browser, you can do that as well. Some of the plug-ins are fairly useful. Toolbars work on all browsers, but Firefox has plug-ins that allow you to work your webemail as an online drive, store online bookmarks, and, of course, there’s Greasemonkey, which allows people to make changes in the way they view pages. Firefox is, therefore, infinitely customisable. For people who have light installations of Firefox 3, the changeover can be rather smooth. Others, particularly some people who are running Greasemonkey applications, have complained that the first version of Firefox 3 is a resource hog. The other main change with Firefox 3 is the “security enhancement”. The problem is that most of these changes are not visible and they said the same thing about Microsoft Vista. But on the very day of release, one security organisation claimed that there was a breach in the browser’s defenses if users clicked a malicious link. Not that it stopped anybody from using Firefox, though it is likely that the first patch will go out very soon, which can’t be very good for the egos of the people who built it. So, should you use Firefox 3? Yes, definitely. At least give it a try. The LG Scarlet is probably the best TV in the market today. Solange Wilvert was a 14-year-old when they discovered her; now, at the age of 20, she’s the face of LG’s new Scarlet television. 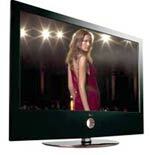 The TV is a good looking one, even though you can’t quite understand the hole in the middle. Jokes aside, the Scarlet is a fantastic piece of equipment. It is very slim for an LCD, but its best feature is picture quality—brilliant colour and brightness. Playing the fantastic new Xbox360 title Ninja Gaiden II through the Component HD input of the Scarlet is a pleasure. Yes, it is a tad expensive, and may seem over-designed, but, technically, this is probably the best LCD TV in the market. Prices start at Rs 57,000 for the 32-inch model. The 42-inch and 47-inch models cost Rs 1.09 lakh and Rs 1.6 lakh, respectively. Muscles Mani is on vacation. His column will resume from the next issue.